Rio de Janeiro (AFP) - A group of 400 elite police officers in Rio de Janeiro, host of next year's Olympic Games, will take meditation classes to help deal with the stress of the job. If it proves helpful the program will be extended to all officers, chief of staff of the military police in Rio, Colonel Robson Rodrigues, was quoted saying in the Folha de Sao Paulo newspaper Saturday. "A policeman that is less stressed will fire less during an operation," he said. Less than a year away from the Olympics, security remains a major challenge in Rio. 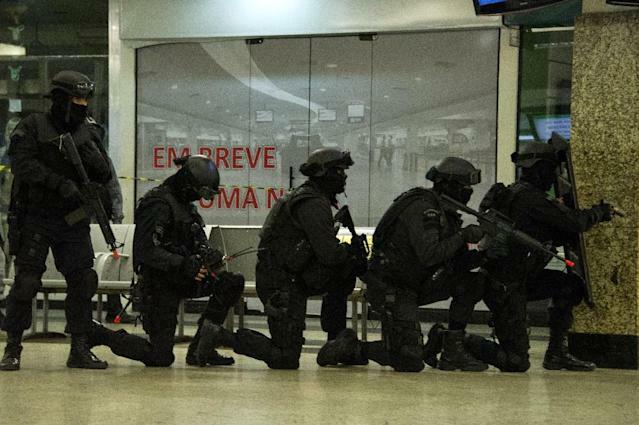 Elite Brazilian police training with French instructors to protect the Olympics said this week they fear an attempted terrorist attack similar to the bloodshed in Paris and are working hard to be ready. Folha de Sao Paulo said the courses will be funded by the David Lynch Foundation. The organization's founder Lynch directed films including "Mulholland Drive" and the hit television series "Twin Peaks".